Saif Ali Khan and Kareena Kapoor Khan along with their son Taimur attended the annual Christmas lunch hosted by Kunal Kapoor at his residence in Mumbai on December 25. Kunal Kapoor is Shashi Kapoor's son. Shashi Kapoor and Kareena's grandfather Raj Kapoor are brothers. For the party, Saif wore a blue kurta and white pyjamas while Kareena was smart in a white shirt and black pants. 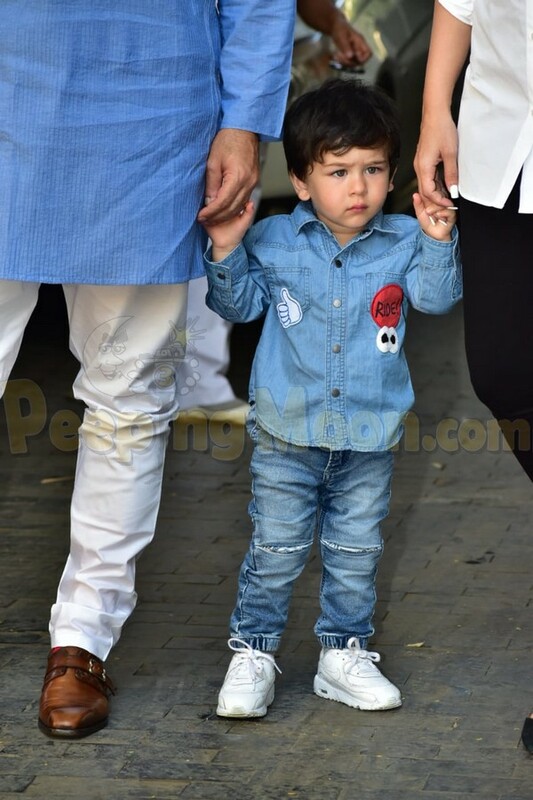 Taimur, on the other hand, looked cute as a button in a denim shirt and pants. 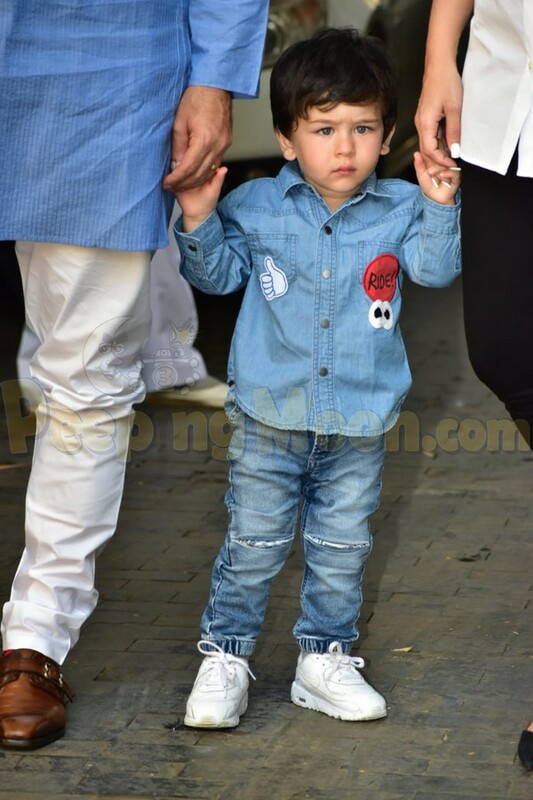 Look at Taimur posing for the cameras!